Thisadult diaper is made of high quality material which contains nochemical composition, this will be safe and fit for long term use.Adopting soft pure cotton inner lining to increase comfort and preventleakage. Waterproof and breathable lining will not cause diaper rash oritch and more comfortable to wear. The hook and loop on the waist iseasy to adjust size, they are sticky and easy to open, you never worryabout tear off or make big noise. Perfect choice for sensitive bladders,general incontinence protection and post partum bleeding. Made of high quality material which contains no chemical composition, this will be safe and fit for long term use. Adopting soft pure cotton inner lining to increase comfort and prevent leakage. 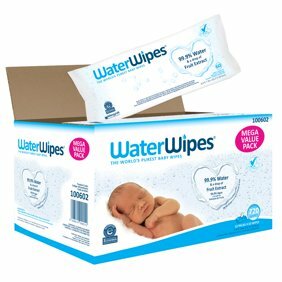 Waterproof and breathable lining will not cause diaper rash or itch and more comfortable to wear and dry quickly. Washable and reusable, this will be more convenient and practical to use. Thehook and loop on the waist is easy to adjust size, you can adjustaccording to your waist size. They are sticky and easy to open, younever worry about tear off or make big noise. Perfect to wear with disposable adult incontinence pads. A good choice for elderly patients, sensitive bladders, mild incontinence protection and post partum bleeding. 1. We do not provide any pad/insert with this diaper pants. 2. Please allow 1-3mm error due to manual measurement. Thanks for your understanding. 3.Monitors are not calibrated same, item color displayed in photos may beshowing slightly different from the real object. Please take the realone as standard.